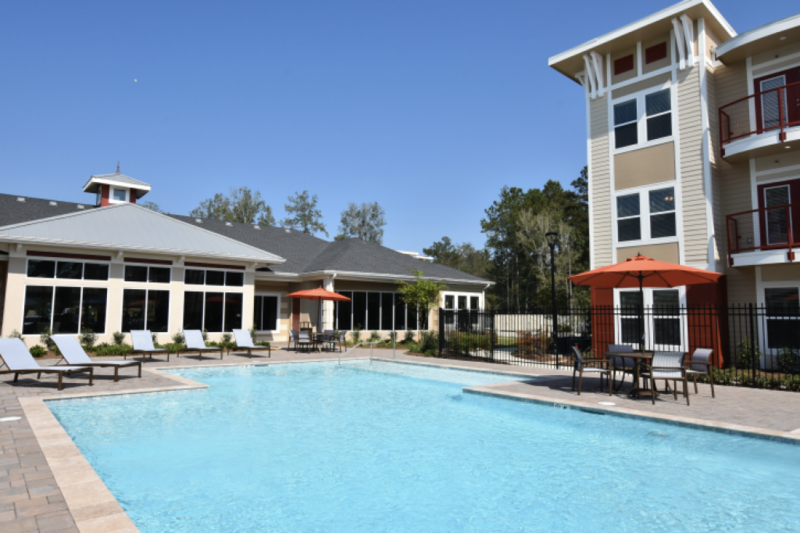 Artesia is a new luxury apartment community in Covington, Louisiana, offering a sophisticated lifestyle in a convenient location. 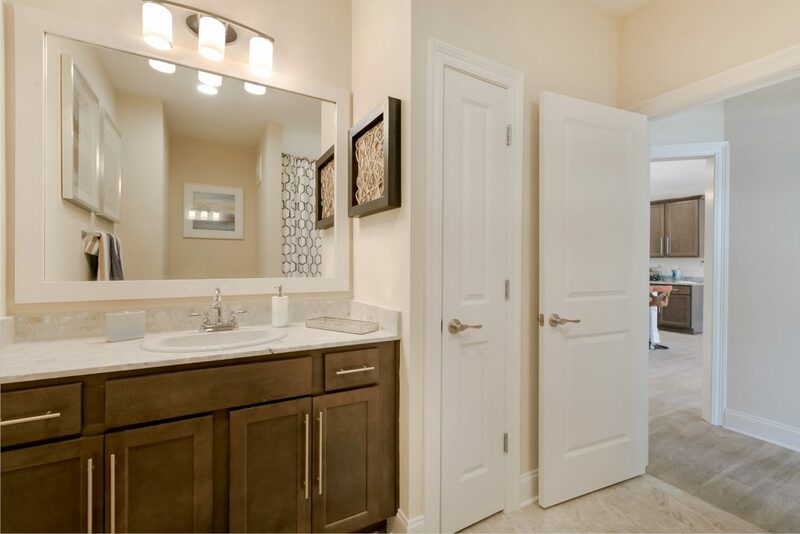 Artesia offers upscale amenities and first-class resident services. 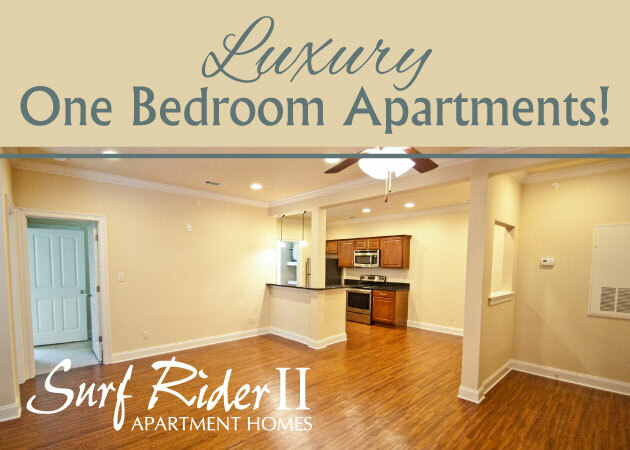 Click here to view available floor plans and rent today! Prices starting at $975! Call us today: 1(844) 959-2759. Take a 360 virtual tour. 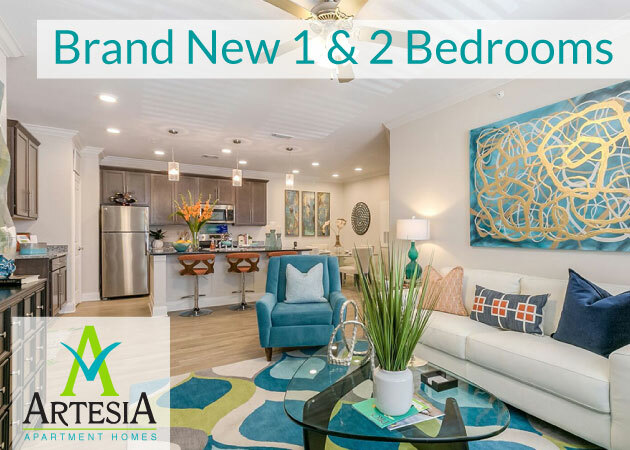 Artesia offers features and finishes you won’t find anywhere else. 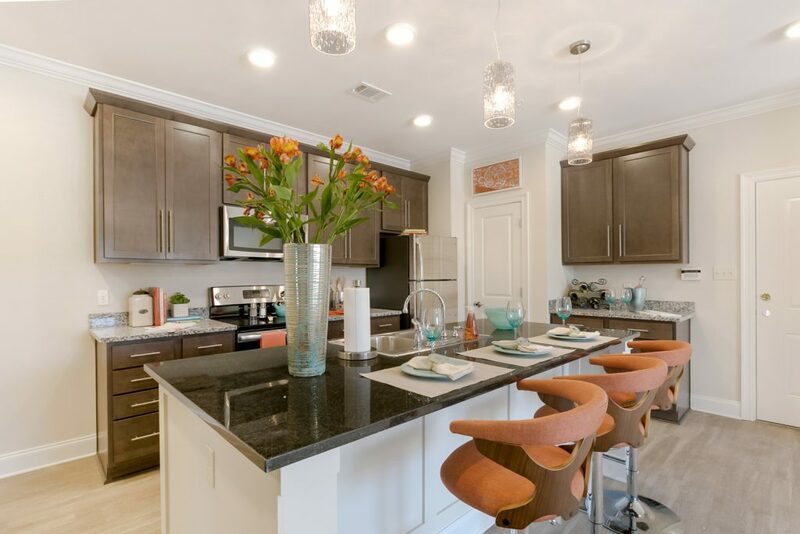 Our designers created residences that are both modern and sophisticated; our floor plans are open and inviting. Come hungry! The Artesia pool features poolside delivery. Artesia’s pool is a stunning destination to relax and unwind. Catch some rays while staying cool with our partially submerged tanning ledges, or sit and read a book in one of several poolside cabanas overlooking sparkling water. Artesia residents can also take part in poolside food delivery when hunger strikes. Enjoy it in our spacious outdoor patio before heading back to the water. Training and grooming and trips to the vet, we’ve got the Good Life for you and your pet! 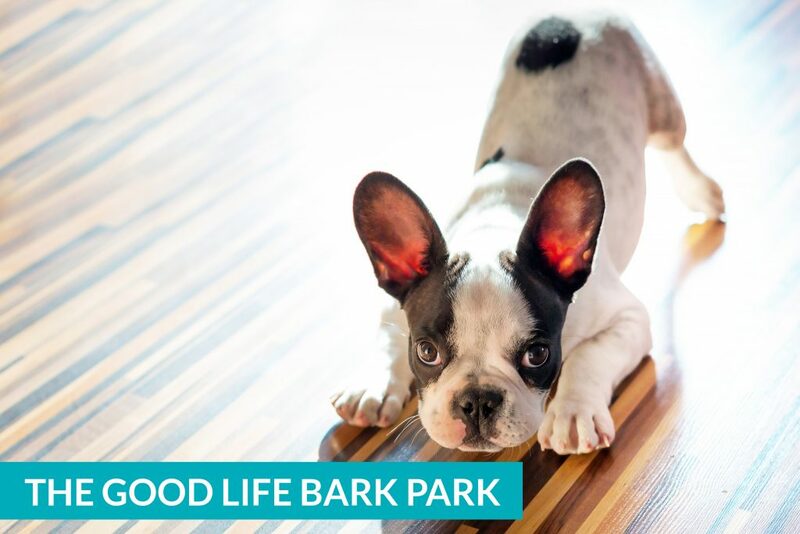 An exclusive dog park just for Artesia pups. Your dog can leap through hoops, jump rover overs and more. Enjoy first-class services like pet care, package & parcel delivery, onsite car detailing, housekeeping services, food delivery, and much more! 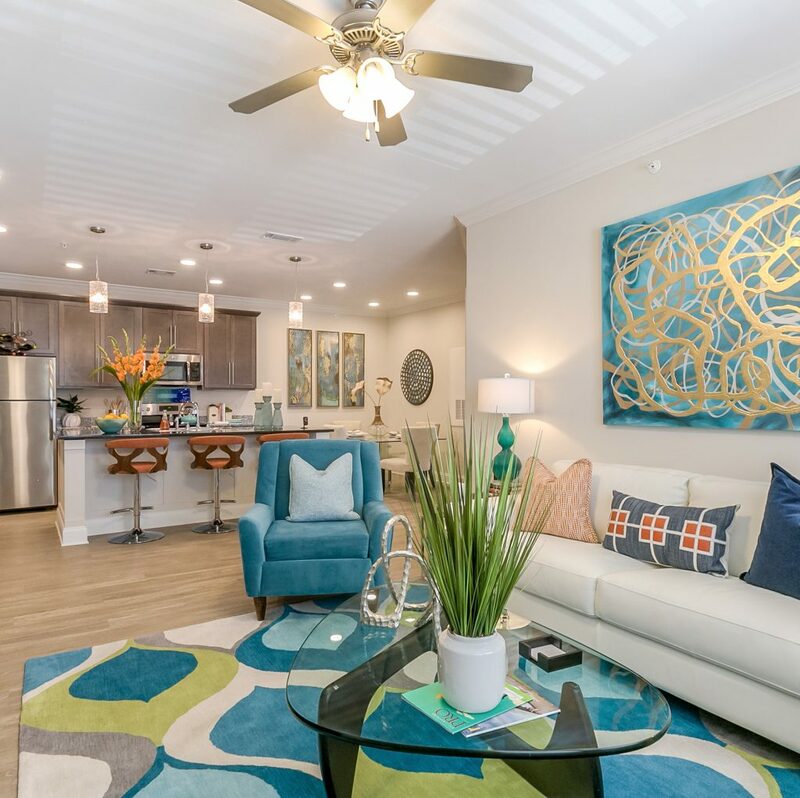 The Artesia Apartment Homes are just a short drive to Historic Downtown Covington, Pinnacle Nord Du Lac Shopping Center, St. Tammany Trace, and more! Our community offers the perfect balance of outdoor activities and city-life accessibility. To learn about all of the exciting things to do in Covington, click here. So what are you waiting for? Live the Good Life today! Beignet Festival takes place on October 7 at New Orleans City Park Festival Grounds. NOLA on Tap [September 23] – Sip on some of the region’s best craft beers and support the Louisiana SPCA at this fun-filled festival. NOLA on Tap is also the region’s largest beer festival, with over 400 breweries participating. There will be live music, beer judging, local artwork, and more! Fried Chicken Festival [September 23-24] – Head to Woldenberg Park downtown and feast on renditions of this sacred Southern tradition. It’s free to enter, and attendees can chow down on fried chicken from over thirty vendors, watch cooking demos, and dance to live music. Make sure your stomach is ready! Treme Fall Fest [September 30 – October 1] – This donation-based festival helps benefit the neighborhood’s architecture, culture, and history. Watch some of the city’s best in gospel, brass, and jazz all weekend long. Carnaval Latino [September 30] – Celebrate National Hispanic Heritage Month at the 18th annual Carnaval Latino festival. This French Quarter festival celebrates all aspects of Hispanic culture in New Orleans. Oktober Fest [October 6-21] – Head to 1700 Moss Street near Bayou St. John in Gentilly any of the first three weekends in October and you’ll be right at the heart of this city’s Oktober Fest celebration. The new home to Oktober Fest will feature a wide variety of German beers, German brass bands, and brats! All the brats! Beignet Festival [October 7] – The city’s most iconic dish definitely deserves its own festival! Beignet Festival will feature original takes on the powdered sugar classic from some of the city’s best chefs, as well as a great live music line-up! New Orleans Film Festival [October 11-19] – This one is for all you film buffs in the area! New Orleans Film Festival is a multi-venue event featuring some of the nation’s best filmmakers and the city’s most innovative cinephiles. Be the first to see the best in independent filmmaking this year! Crescent City Blues & BBQ Fest [October 13-15] – This free festival in Lafayette Square will bring the area’s best barbeque cooks and blues artists together for a weekend of saucy celebration. If you love all things BBQ, this is the festival for you! Krewe of Boo Halloween Parade [October 21] – Although this isn’t technically a festival, it’s a fun, family-friendly event in celebration of the Halloween season! Bring your kids down the French Quarter for a spooky parade of crazy costumes and creative floats! Mac n Cheese Festival [October 21] – This is the inaugural Mac n Cheese Festival and it’s definitely worth checking out! Cheese fans rejoice, and make your way to Louis Armstrong Park for an ooey-gooey observance of one of the world’s favorite comfort foods. Cochon de Lait Festival [October 21] – Free entry, live music, local artists, and lots and lots of pork. The Cochon de Lait fest takes place in Palmer Park, just off Carrollton and Claiborne Avenue. Come hungry. Oak Street Po-Boy Fest [October 22] – One of Oak Street’s main events, Po-Boy Fest takes over the main stretch of the street with tons of po-boy vendors and live music stages for your entertainment. Dig into a traditional po-boy or try some of the area’s more unique tastes on this New Orleans classic at Po-Boy Fest. Louisiana Seafood Festival [October 27-29] – If Louisiana is known for one thing, it’s seafood! Shrimp, oysters, crawfish, and other iconic gulf catches have put Louisiana on the map as one of the best places for fresh seafood in the world! Celebrate this important part of our culture at Louisiana Seafood Festival at Woldenberg Park in downtown New Orleans. Voodoo Music & Arts Experience [October 27-29] – Worship the music at this Halloween weekend music fest in New Orleans City Park. Voodoo Fest is one of the city’s largest music festivals, and it features some of pop and rock music’s hottest acts. Dress in your wildest Halloween costume and dance to the sounds of the Foo Fighters, Kendrick Lamar, and more! Boudin, Bourbon & Beer [November 3] – Emeril Lagasse’s nighttime festival in Champions Square celebrates the savory sausage creations of the city’s elite chefs. Each food booth has a unique take on boudin sausage, and you can sip and snack your way toward the stage for some amazing live music. New Orleans Book Festival [November 11] – Add some new titles to your home’s bookshelf at New Orleans Book Festival! Chat with local authors and enjoy twilight book readings with the whole family! Treme Creole Gumbo Festival [November 18-19] – Ring in the cooler weather at Treme Creole Gumbo Fest! The Congo Square-based fest will answer all of your gumbo dreams. Celebration in the Oaks [November 24 – January 1] – Ring in the holiday spirit with the bright lights of Celebration in the Oaks. This annual City Park event illuminates the Botanical Gardens, Storyville, and the Carousel Gardens with holiday lighting displays that will enchant and entertain everyone in your family! Well, looks like your calendar is full for the next couple of months! Stay tuned for our winter picks! Who Dat! Are You Ready for Saints Season? The Saints regular season starts on Monday, Sept. 11, with a game against the Minnesota Vikings. We can’t wait to root for the boys in black and gold, which is why we’ve outlined two ways to watch ‘em (when you’re not in the Dome, of course). Make the best of game day whether you’re enjoying it at home or if you prefer a local bar in Metairie, Kenner, or Elmwood. Create a tailgate-at-home experience with all the details of a traditional tailgate – in the comfort of your own living room (plus real restrooms and air conditioning!). One of our favorite tailgate recipes is this Creole Gumbo recipe from Smithsonian Magazine. You can make it ahead the night before and have it warming on the stove throughout the game’s telecast. And to keep it truly authentic to a tailgate, don’t even think about fancy silverware or china for your guests. Simply provide plastic tableware instead. It’ll feel more like a real tailgate, and cleanup will be a snap. You can go as over-the-top or as understated as you like when it comes to game-day décor, but we always like having a football on hand to toss around during commercials. JR’s Sports Bar & Grill: Conveniently located on Veterans Memorial Blvd. in Metairie, this sports bar is open 24/7 –the kitchen is open 24/7, too, churning out delicious regional classics like po-boys and shrimp plates. Big-screen TVs will hold your attention while the game is in play while diversions like video games and a fully stocked bar mean you’ll still have fun even if your team isn’t winning. Coach’s Corner: In addition to pleasing prices and a spacious setup, Coach’s Corner lets patrons bring in food from Zita’s pizza next door. If you’re in the competitive spirit, challenge your friends to a game of pool, shuffleboard, or darts. Hurricanes Sports Bar: Flat screens everywhere you look, two pool tables, delicious wings. Enough said. Head to Hurricanes on Veterans Memorial Blvd. for all of the above. The Beach House Bar & Grill: Tropical drink enthusiasts will love this Northshore spot in Mandeville, which hosts Saints parties during the season. Their drink menu includes options like Caribbean Rain Water Rum Punch, Shangri-La Lemonade, and the Soggy Dog Pain Killer; pair it with islands-inspired dishes like jerk shrimp tacos or the Kona Lua kabobs. Columbia Street Taproom: Head to Covington and catch the game at Columbia Street Taproom downtown. Plenty of beers will keep you going throughout the game — choose from 30 on tap and more than 60 bottles. If you need more substantial fuel, try the burger. 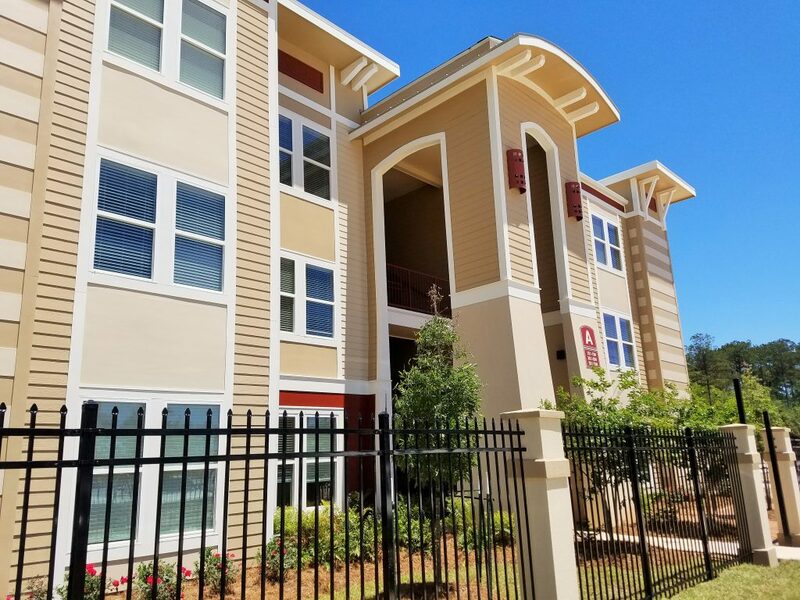 With looks like this, it might be hard to leave our newest apartment community in Covington, but outside of Artesia’s gates is a town filled with tons of great attractions for adults and kids alike. 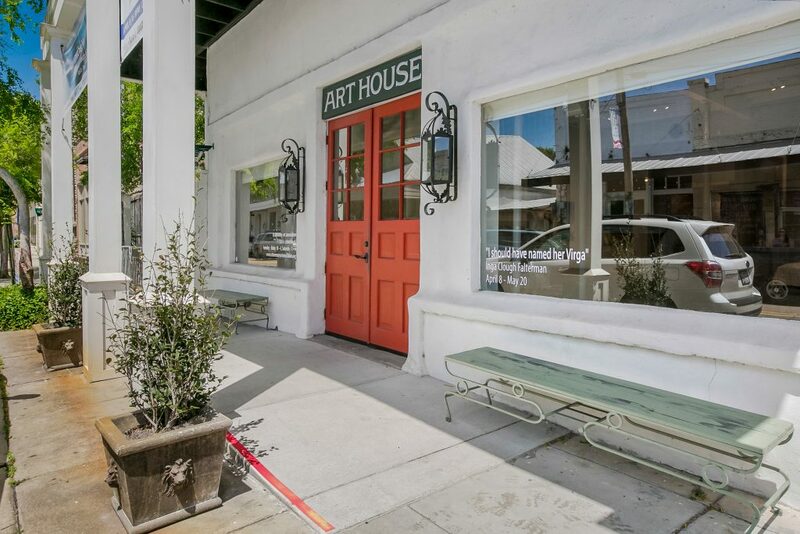 If you love the outdoors, the Northshore is a great place to venture out and explore. You’re in close proximity to picturesque waterways, scenic state parks, and canopied bike paths that wind through the area’s townships. Thinking of indoor options? Test your wits at an escape room or go on a date to the movies. Coasting through shaded creeks and bayous sounds amazing. If you really want to get wild, head to the Global Wildlife Center for a safari ride alongside giraffes, zebras, kangaroos, and bison! You’ll ride in an open-air bus and get the opportunity to feed the animals by hand. Be careful with those giraffe tongues, though! If you’re looking for a different kind of outdoor fun, the Tammany Tracy Bike Trail stretches from Abita Springs to Covington down to Mandeville and into Slidell’s Camp Salmen Nature Park. End your light ride from Covington to Abita Springs with a beer at the Abita Brewery, or coast down to the Mandeville lakefront for a sunset stroll. It’s still a tad hot outside, so you’re thinking of holding off on all things outdoors until later this season… That’s ok! There is plenty of indoor fun for everyone in the family. If you’re due for a date night with your loved one, the Movie Tavern is both the dinner and the movie. Take a seat and let a server bring you dinner while you watch the latest Hollywood blockbuster. Or you can clue into one of the Northshore’s escape rooms like The Escape or Escapology and race against the clock to free yourself from the enclosed space. Elevation Station is an indoor trampoline park with tons of high-flying fun. We love this place as a solution to rainy day woes, and there are plenty of different bouncy options to keep your kids engaged until exhaustion. If you want a unique experience, head to the Abita Springs Mystery House and peruse their collection of eccentric objects and off-the-wall inventions. Artesia’s centralized location gives you easy access to all of the Northshore’s best entertainment and attractions. 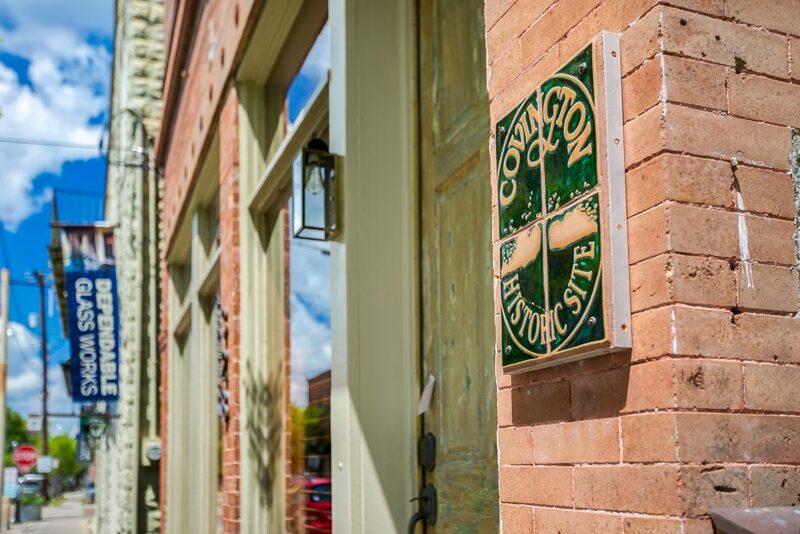 Whether you’re looking to hit the water or hail the waiter, Covington has everything you need for your outdoor adventure or your indoor indulgences.